If your family is anything like my family, either you buy a can of cranberry sauce or make a special recipe and only a few family members eat during Thanksgiving or Christmas dinner, and now you have a TON left over and you aren't sure what to do with it. If you are a follower of my blog than you may know that one of my biggest posts was on all the different things you can freeze in ice cube trays for later use. This is EXACTLY what I do with my leftover cranberry sauce. I freeze it in cubes. Now, if you have jellied cranberries like i do here, than you may find that your cubes don't exactly freeze up into solid cubes. (If you have a non jellied version then you won't have that issue) For the jellied sauce cubes, I don't bother to pop the frozen cubes out of the tray to store in freezer bags, I just put the tray in a gallon size ziplock bag and store the whole tray in the freezer and pop/scoop the cubes out as needed. so 2 cubes is about 1/4 cup. 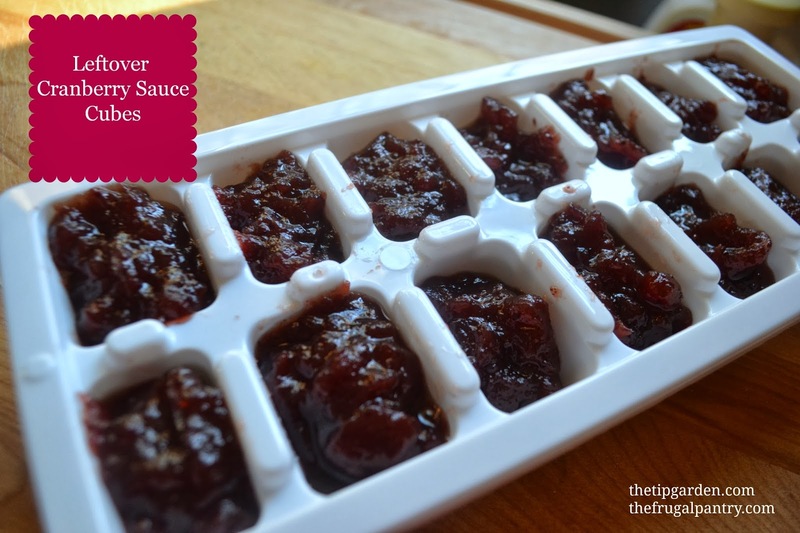 You can use the thawed cubes to make up cranberry muffins, breads, and even pancakes. My favorite way to use them is in smoothies!!!! They aren't as tart as you might imagine and a touch of honey will fix that for you! Here's how I make mine, but feel free to play around with it! 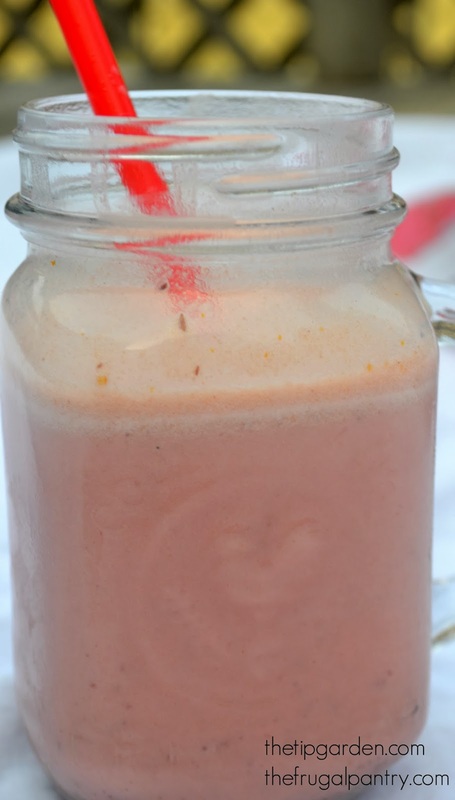 Blend on high 15 -20 seconds or till blended. What do you do with your leftover cranberry sauce?